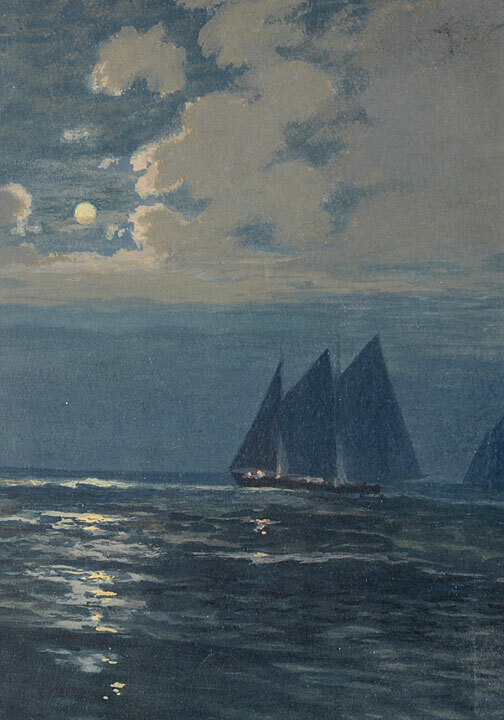 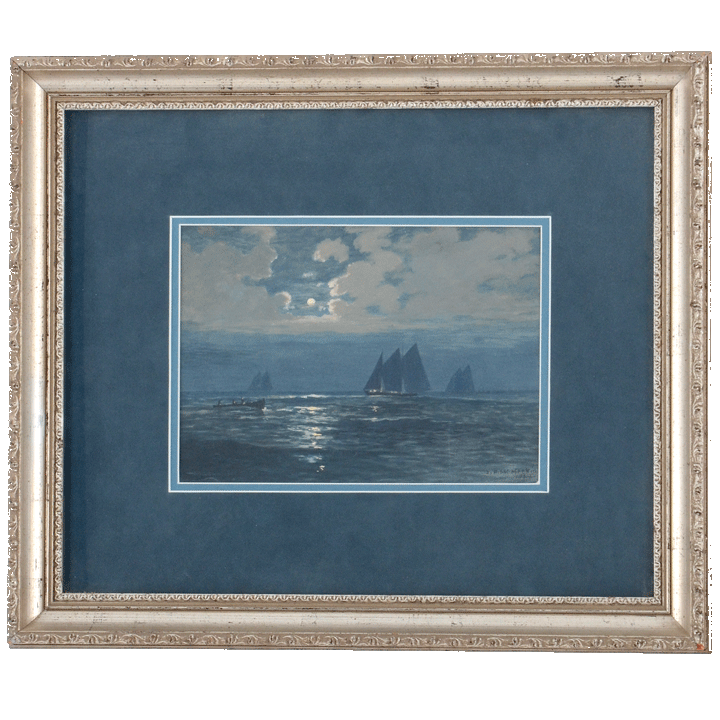 Vintage American gouche on paper Full Moon Sails by Joseph Patrick McMeekin (1857-1936), circa 1926. 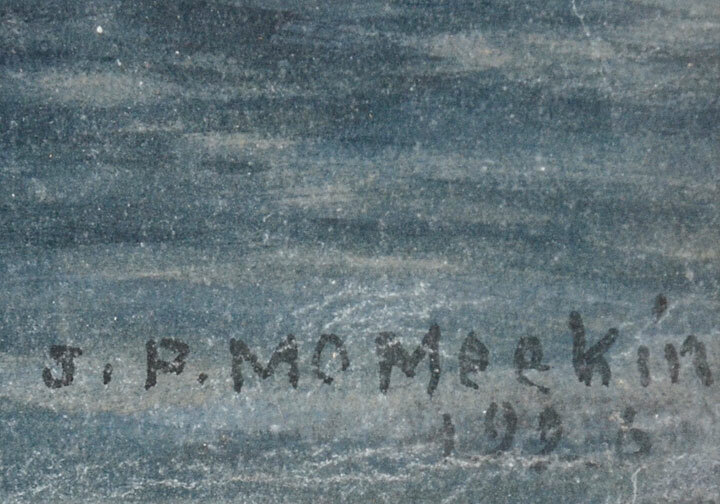 McMeekin was an Irish immigrant. 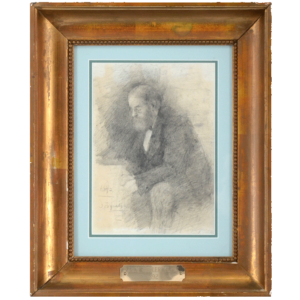 He was known as an Idaho landscape artist and was well listed and a plein air artist.